The illustration shown was drawn by J.C. McConnell and can be found on Plate 37 of the Indiana Department of Geology and Natural History (Eleventh Annual Report) John Collett, State Geologist, 1881. 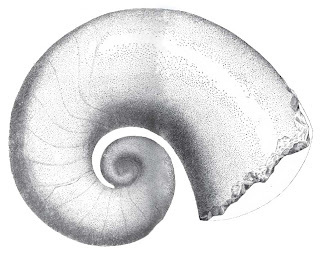 The fossil is identified as a Gyroceras elrodi found in the Silurian Waldron Shale of Indiana. The next image is of Plate 38 Figure 4 showing a close up of the shell imprint. 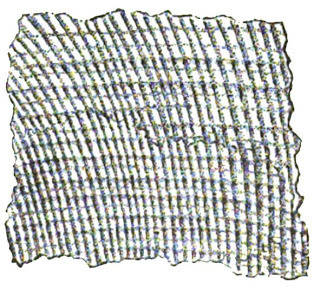 Described as "Portion of surface showing revolving and transverse lines."